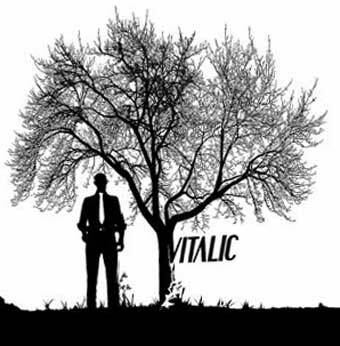 Vitalic (born as Pascal Arbez in 1976) is an electronic music artist. He was born in France and is of Italian descent. His first singles were released in 1996 and 1997, but were confined to the underground electronic music scene. However, he became good friends with Michel Amato, also known as The Hacker, whom he met in the Rex, the "techno temple" of Laurent Garnier. The Hacker suggested he send his new tracks to DJ Hell, head of Gigolo records in Munich. Pascal did so, and International DeeJay Gigolo Records, released the well known Poney EP in 2001, which was a huge success shortly after its release. With the track "La Rock 01", Vitalic created a club anthem which was a hit in the summer of 2001. The track was also included on many compilation albums, even rock compilations. In 2005, Vitalic's debut album, OK Cowboy was released on Different/Play It Again Sam. Pascal states that all of the instruments used in the album are synthesized. His official website states that "the only thing he can't fake is the emotion that galvanizes his music." His song "Trahison" from OK Cowboy was used in the trailer for the 2007 French film Naissance des Pieuvres. His song "Poney Part 1" was featured in the Pleix film "Birds". no doufejme ze to nedopadne jako posledne ze hral jen hodinu :(ale i presto je to sleha ....!!!!!!! omg sem nejdou vkladat linky???? ani html? na odradkovani? ?